This river she-oak is thought to be one of the largest of the species in the country. 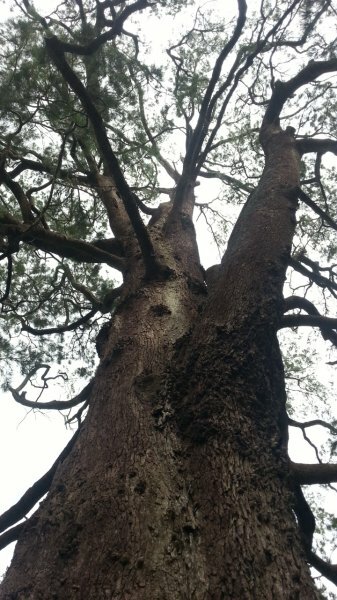 The tree has a single stem and a large burl on the base of the trunk (Sale, P.O. 2013). 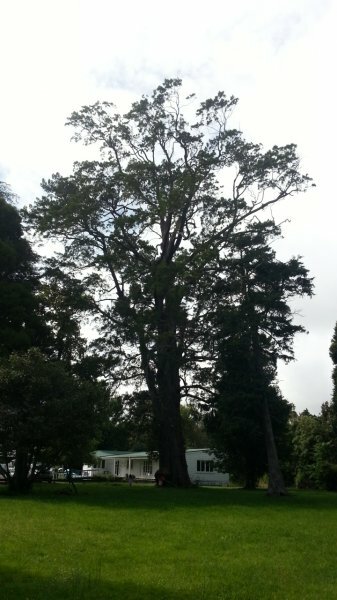 The Hunter Estate Reserve Land was left to ‘Tauranga County’ in the will of Miss G. Hunter “for the use and enjoyment of the residents and visitors to Katikati”. The bequest was accompanied with a fund to assist development and maintenance of the reserve. The reserve area is 4.29 Ha and is currently utilised by a mix of sports clubs and grazing (Ref:Katikati Ward Reserves Management Plan). The crown of this tree is quite thin but it appears healthy with no major deadwood or decline (Jan 2013). 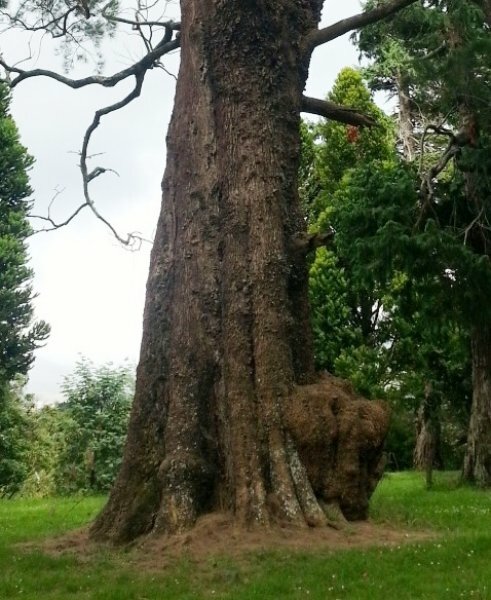 Very large trunk with a large burl on the base.